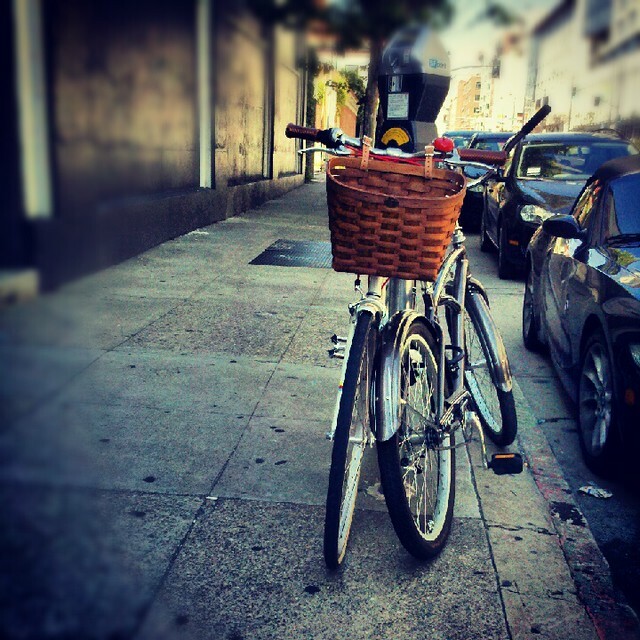 sf bicycle life // a life i'd really like to be living! And so it goes, and so it goes. I meant to write a post yesterday but I ran out of time. Literally ran out of time to blog. I am encountering a new kind of "busy" this year -- a kind that makes me think I never really knew what it was to be truly busy before. But I'm sure I will be proven wrong again and again until a black hole of business opens up in front of me, right? Is that how it works? Is that how we die? Deep thoughts on a Wednesday. And I wrote Tuesday. Damn. It appears as though "summer" in San Francisco has arrived, and its here right on schedule. That means I'm sitting here in my office with the heater cranking and a fuzzy coat on, and all I want to do is sleep. This week is simultaneously crazy and low key. I am running a lot this week; far more than I've ever run before in my entire life, and since I am equal parts terrified and exhausted, I've been attempting to instill some order in my life's chaos before all the exertion begins. Bay to Breakers is on Sunday, finally, and I am really, really excited. I haven't even done a lot of thinking about how its also 9 years since my father's death, and I want to keep it that way, though I know it will be impossible to ignore (much like his March 28th birthday, which I celebrated by being an utter mess all day). So there's 7.5 miles. And before then, tomorrow evening I will be doing a 5.5 mile run in the Marina, of which my $10 registration fee is going to some kind of fundraiser. I could really care less who the beneficiaries are; I just really need to get moving, and another race is the best way to do that. I've also wanted to run in the Marina for a long time, and as long as I can deal with a busy working Thursday and making it out to the Marina and then running for more than an hour (then getting up Friday and going to work and getting ready for Scott to be out of town for nearly a week, sob), then I should be fine.